NEW TUTORIAL: Pro Trinket as a USB HID Mouse « Adafruit Industries – Makers, hackers, artists, designers and engineers! The Pro Trinket’s USB connector is used for uploading sketches, but the connector is not a full USB port due to lack of dedicated hardware. 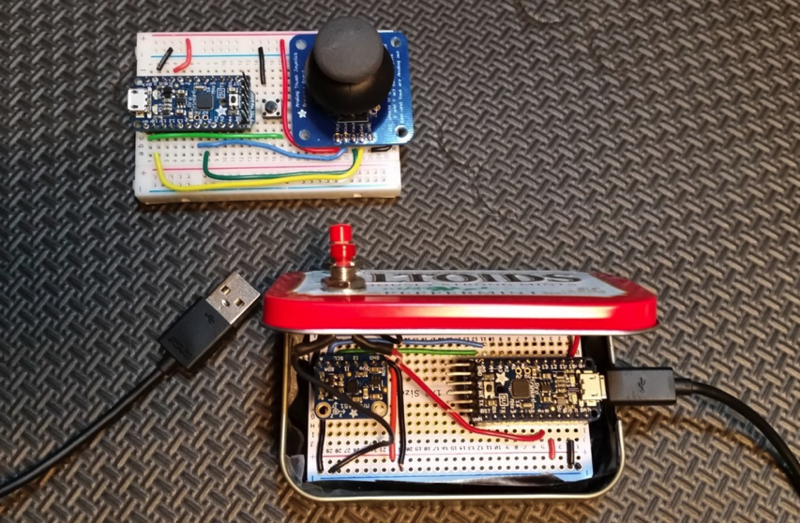 You can, though, use the connection to emulate some basic USB 1.1 devices via an Arduino software library presented in this tutorial. For example, via the USB 1.1 protocol, you can build low speed USB Human Interface Devices (or HID). Examples of HIDs are keyboards, mice, joysticks, gamepads, etc. Using the Pro Trinket as a USB keyboard is demonstrated in an earlier tutorial here. Pro Trinket can emulate a computer mouse with two examples to demonstrate translatating movement into on-screen cursor changes.